BIMIreland.ie chats with Zutec about the company’s software and we hear what the company will be showcasing at CitA Tech Live on November 8th & 9th. Zutec develops and markets cloud-based software solutions, primarily directed to companies within the construction, engineering and facilities management industries. The company’s products help clients to increase their productivity and cost efficiency. 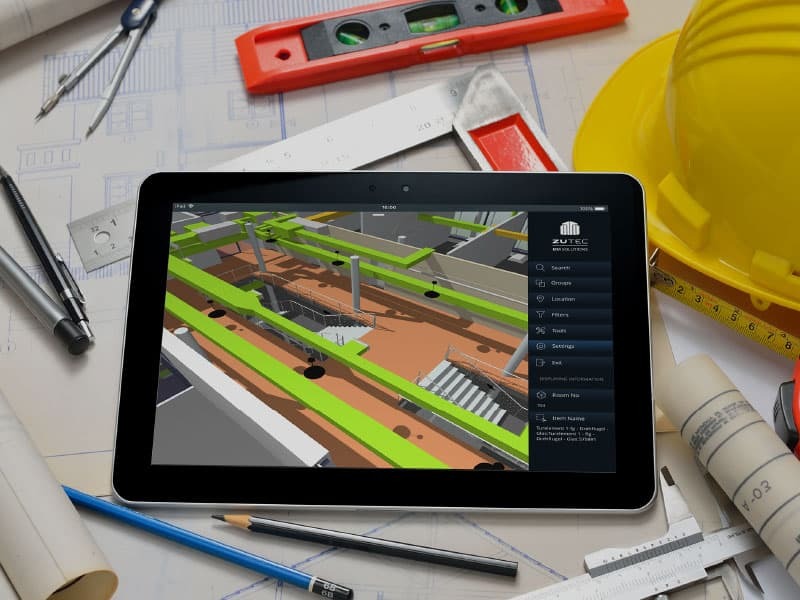 Zutec provides solutions within project management, data and document collaboration tools, data-enriched 3D-models, defect management, project handover and the operations and maintenance of buildings. The company’s main product is the Zutec Platform, which may be described as a cloud-based database. The company markets several modules which can be connected to the platform to increase its functionality according to the needs of the customer. CitA Tech Live media partner BIMIreland.ie speaks with Zutec about the company’s software and what will be demonstrated at CitA Tech Live. Can you tell us who seek your solutions and where your services may be used? Among the company’s clients are some of the world’s largest construction firms, which have used Zutec’s solutions in major projects around the world. Typical projects that Zutec’s services may be used for are airports, ports, hospitals, universities, public buildings and large commercial projects. Prestigious projects in which Zutec’s Platform has been used include Wembley Stadium, The Shard and Doha Airport. Zutec is in the enviable position of having multiple entry points into the market. As Zutec is used for a number of individual processes throughout the building lifecycle it can be deployed at concept stage or even after construction is completed. Zutec has been deployed on buildings decades after construction. Also, Zutec prides itself on is its flexibility, not only can it solve a wide range of problems, but the customisation means that if you compare its usage between two different companies, there will be differences in how it’s used and what it’s used for. Every company and every project has different needs. Zutec has concentrated on improving the user interface, making the user experience simpler, more satisfying and giving our customers a sense of ownership of their own tailored version of Zutec. Can you describe what you will be demonstrating at CitA Tech Live? Construction Progress Tracking of Apartment Builds. Digitising your quality and inspection processes in the cloud to provide instant visual reporting on how your project and supply chain is tracking. CitA Tech Live takes place at Croke Park on November 8th & 9th. You can register here.